Nontraditional courses are defined as classes taught online or through distance learning, independent study, individualized instruction or correspondence methods. Knowing the requirements and application questions below can help you design a NCAA-approved nontraditional program. The course must prepare students for academic work at a four-year college. Students must complete the course in its entirety, without testing out of course content. Courses must have subject area certified teachers supporting the learning environment. The course must be comparable in length, content and rigor to courses taught in a traditional classroom setting. Maintaining the credit hour of the Carnegie Unit, half-credit semester courses should be designed to include sixty hours of instruction. Courses must include teacher-based instruction, with a full balanced set of formal assessments. A student in the course must have regular interaction with the teacher for instruction, evaluation and assistance for the duration of the course. The digital learning program must require regular and ongoing interaction between the student and teacher for instruction, evaluation and assistance. Access to an instructor is not enough. Subject area teachers must engage the student in individual instruction. Interaction must be regularly scheduled, which can be conducted in a face-to-face environment or from a distance; exchanging emails, online chats, or via webinar tools. The course must have a definite time period for completion. Course can be taken for an entire 18-week semester or during an identified condensed time period, such as 9-weeks, or during a 3-6 week summer term. The course must be clearly identified as nontraditional on students’ official high school transcript. Courses taken in a digital learning program must be identified on transcripts, either in the title or in the code. For example, a course title can identify the vendor courseware vendor such as: 42001A Algebra I, Sem. 1 – Apex. Or the 6th letter A in the course number could be used as the nontraditional course identifier, leaving us with: 42001A Algebra I, Sem. 1. For a digital credit recovery courses to count as an NCAA core course, they too must meet all the requirements of an NCAA-approved nontraditional course and must clearly be identified as a recovery course on the high school transcript. May nontraditional courses at your school be used both for recovery and original credit? Identify the transcription of nontraditional coursework designation as it would appear on a student’s transcript. Was the curriculum purchased from a vendor or provider? Do students move through coursework as part of a cohort? Can a student be exempt from or test out of certain portion of the nontraditional courses? Under what circumstances are students permitted to repeat a lesson, assignment and/or assessment? Is there a pacing chart for the course? Identify the shortest and longest period of time a students is permitted to complete a nontraditional course. Describe the frequency and nature of the required instructor-initiated interaction that take place with students throughout the nontraditional course. How are assessments graded and by whom? If a portion of the assessments are automatically graded, estimate the total percentage automatically graded. Explain the type(s) of feedback students receive from the instructor, based on the assessment of student’s work. In addition to the questionnaire, applicants must also submit documents (e.g. description, curriculum/outline, assessments) for a number of selected courses. E2020 coursework taken through this school/program does not meet NCAA nontraditional core-course legislation. PLATO coursework from this school/program does not meet NCAA nontraditional core-course legislation. Edgenuity coursework from this school, designated as ‘Z’ on students’ transcripts, does not meet NCAA nontraditional core-course legislation. Edmentum coursework from this school, designated as ‘Z’ on students’ transcripts, does not meet NCAA nontraditional core-course legislation. Coursework from IS Program cannot be used in certifications due to lack of or insufficient documentation during the review process. INDEPENDENT STUDY coursework from this school, designated as “A” in the 7th digit of the course code, does not meet NCAA nontraditional core-course legislation. MASTERY-BASED coursework from this school, designated as “M” in the 6th digit of the course code, does not meet NCAA nontraditional core-course legislation. BLENDED, HYBRID and DISTANCE coursework from this school, designated as any of the following 6th and 7th digit combinations in the course code, meet NCAA nontraditional core-course legislation: “AB”, “AC”, “AD”, “BB”, “BC”, “BD”, “CB”, “CC”, “CD”. An applicant has exactly one opportunity to write an objection to a decision rendered by NCAA. It is important to have policies and procedures in place that meet NCAA requirements when designing a digital learning program. You would hate to lose NCAA eligibility for a single student, or your entire school/district. 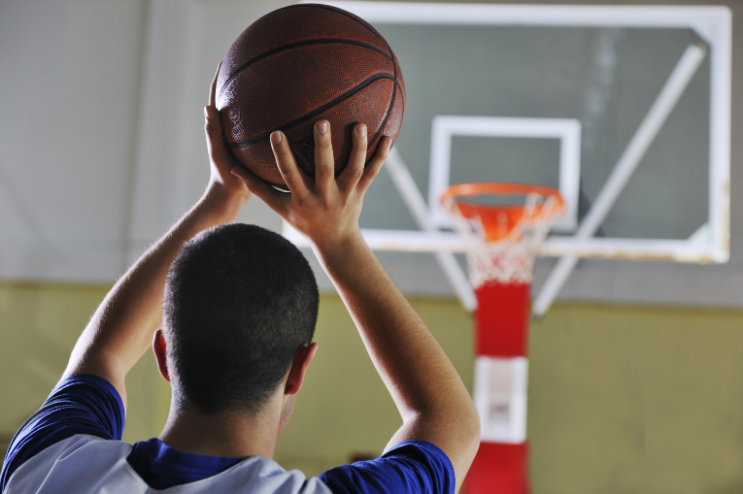 If you are new to the nontraditional NCAA process, don’t get caught up in the madness. The i3DigitalPD consultants have helped others with designing digital learning programs and writing NCAA applications and appeals. Let us help you.